Students gathered in Rudder Theatre Thursday night to get advice from former students who have risen to the top. 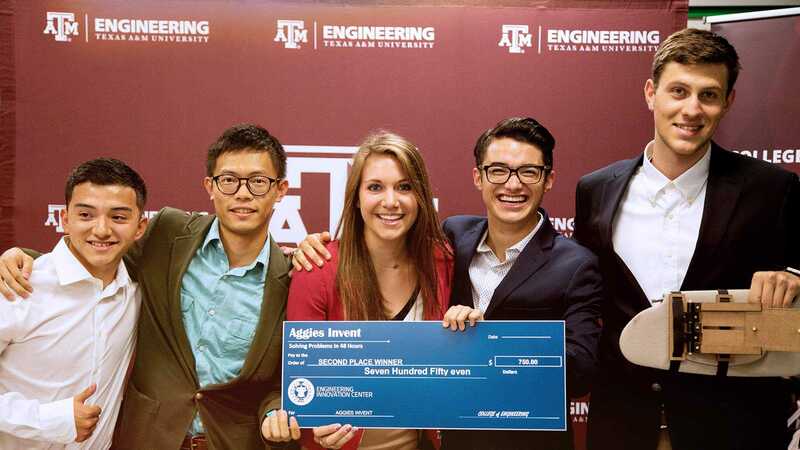 In its third year, Aggie Boss Talk hosted five industry leaders from a variety of fields. 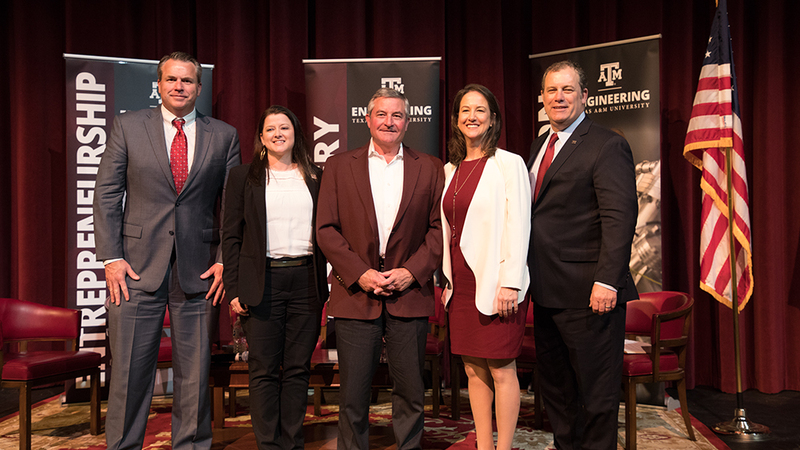 Panelists included John Faulkinberry ‘92, vice president of sales in North America at Emerson; Stephanie Atkinson ‘97, CEO of Compass Intelligence; Jay Still ‘84, president and CEO of Guidon Energy; Bonnie Black ‘94, vice president of Permian Well Planning and Permitting, Pioneer Natural Resources; and Brad Simmons ‘83, global vice president of Built Environment. 1. You’re responsible for your own success. Atkinson agreed with this sentiment. “Don’t live your life by default. Be purposeful,” she said. 2. Develop your soft skills. Faulkinberry said that even if you’re an introvert, you can learn how to put yourself out there. 3. Choose the right friends. 4. Enjoy the Aggie Network. 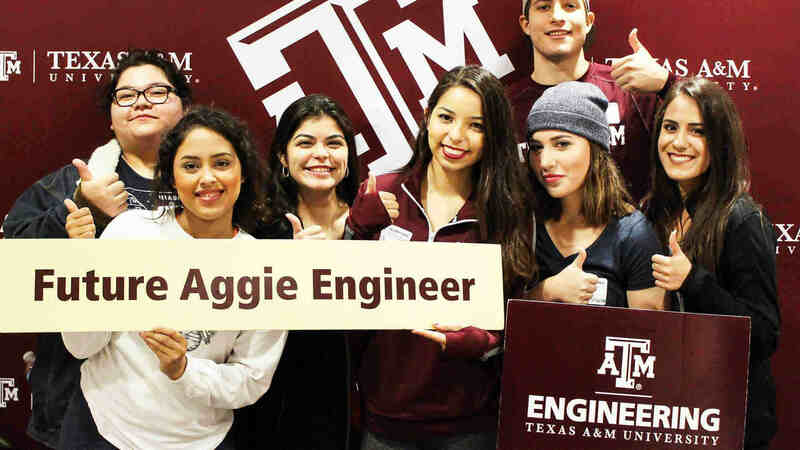 “You can be in the deepest part of Africa and you can pick out an Aggie ring from across the airport,” Still said. That said, Simmons added that this doesn’t mean Aggies should expect to have it easier. “If you get in the door that way, you have some extra pressure on you,” he said. 5. Start your day right. “I’m up early,” Faulkinberry said, adding that he’s the first in the door and the last to leave. 6. Set the right workplace culture. Black said one of the first things she did when she started working at her current company was get rid of the giant wooden desk in her office. Black said when she first started her own business with a colleague, it was when she had a young child and another on the way. They went without paychecks, but within five months, they were cash positive. “I had no fear, and if I fell on my face, I knew I was employable and I knew how to work,” she said.